• الموضوع : Reviewing Hermeneutics: Relativity of Truth, Knowledge & Texts . Hermeneutics is a philosophical branch of methodology, which focuses on the issue of interpretation and cognition for the methodology process of understanding the Holy Scriptures and texts and making them accessible to random individuals. This methodology is implemented by dissecting the linguistic roots and symmetrical terminology in the holy texts for the purpose of finding implications in everyday life of humans, and ultimately achieving the knowledge of dissection, interpretation of numerous types of texts and in different sciences, whether applied sciences or academic. The ancient Greek meaning of the term Hermeneutics means expression, which includes dialogue, text and interpretation. However, the definition of interpretation in this field can mean, clarification through simplification of vocabulary or presenting alternatives. The ancient Greeks viewed interpretation as defined above a method of dissection and simplifying text as a whole. Hermeneutics focuses on the notion of what humans say and think, and the relation affiliated to a conduct derived from a phenomenologist point of view that has an interpretational nature, as obvious and clear texts and notions don’t need clarification. The clear understanding of hermeneutics is not to affirm the existence of different interpretations, but it is rather to assure the inevitability of this plurality, through relativity and hermeneutics. Nonetheless, there are hermeneutical philosophical roots that have founded the bases for relativity of knowledge, which has opened the door before all kinds of sciences and knowledge that places them all in the circle of relativity. This notion even applies on the knowledge derived from the indications within the text itself, and specifically the religious texts, due to a conviction that assumes limitations of knowledge is not limited and can’t be limited since knowledge can be acquired through daily experiences throughout history, according to hermeneutics. The notion of relativity has been implemented more broadly in the current era, specifically in the fields of epistemology and knowledge, which are linked to the philosophy of knowledge and its evolution. This notion has been labeled as Relativity of Knowledge, and this relativity has been spread and used to classify and tabulate ethical and postural notions. Relativity theories represent the existence of serious obstacles in the face of proposing and presenting any cognitive foundation based on the possibility to achieve truth, actuality and certainty. In addition, relativity alters any foundation for a constructive cognition derived from a religious text. For example, since assimilating the Holy Quran does not leave the sphere of human comprehension that is bound to transformations and constant conversion. Therefore, the possibility of submission to any enduring understanding and notion is not available. The necessity to dissect and study the indications and the interpretations of the above concepts is imperative, due to the importance and wide circulation of this notion in the knowledge spheres, specifically in the fields of religions and sects and metaphysical issues. Unfortunately, many philosopher, thinkers and scholars, including some of the modern neo-Islamists have used the concept of relativity as a pretence to constrict and demolish any gap between an authentic cognition and comprehension and anything that is not. The feasibility of this notion is to diminish all the borders between the truth or the right path and all other understandings and interpretations. Therefore, one of the main interpretations of this concept is, all passages and paths are rights and sufficient, or all religions are right and take us (humans) to the right final destination. Nonetheless, if they are not right, all of them are hypothetical and presumptive, and therefore, empty of any notion of knowledge. The necessity to scrutinize and examine hermeneutics and all of its emanations and theories and specifically the ones affiliated with phenomenalism of Kant and the concept of impossibility of congruence of matters with their essence, exterior or truth. In addition, the research will focus on dissecting the numerous interpretations and definitions of relativity and assessing them for the purpose of refuting the abstentious and forbearing ones, and affirming what is acceptable to logic and wisdom. The research will identify reality due to its accordance with matters or comprehension of an information, therefore, the relativity of truth, knowledge and language (text) has been categorized to four parts that address the source of knowledge in this world. The research will not discuss the historical evolution of these concepts applications that are linked to what hermeneutics and relativity states. Neither will the research indicate the right & wrong within the founding philosophy of these concepts, as what this research will aim for in its series is judging the philosophical, intellectual and cognitive, and linguistic affirmations, which this concepts employ. Specifically, the interpretations that effect the religious texts of Muslims. Generally relativity of knowledge, and more so hermeneutical philosophy leads to a more narrow relativity, which is evident amid Islamic ideology, especially among the Islamic scholars that have been effected by western philosophy, as they have been marching these presenting these concepts, which makes them think, they are offering a modern understanding of Islamic concepts. · Logical Method: this method will be both inductive and logical. · Analogical Method: to conclude what logic sees as necessary, as this method will include the arguments of a devoted ideology, and a non-devoted ideology. · Primitive & sentimental Method: this method presents the subjective outlets of the research. 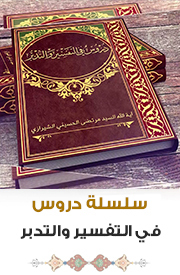 · Traditional textual method: this method will focus on the narrations extracted from the holy book and the Sunnah of prophet and the twelve Imams. 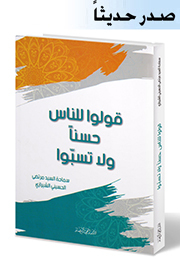 The research is based on reliable and solemn sources, which include many Islamic texts and many modern literatures that have discussed philosophical concepts related to the topic. The research has been categorized to five main chapters, and subcategorized to subsections as necessary. · Chapter one: preliminary and critical approach to relativity concepts and its affiliates and hermeneutics. · Chapter two: critical inquisition about different types of texts, and the bases of knowledge, truth and author’s intention in them. · Chapter Three: Interpretations and descriptions of relativity, and evaluation of them. · Chapter four: pivotal hermeneutical theories and a conclusion, which includes the Holy Quran, the prophets, the Imams and absolute cognitive evidences. · Chapter five: pivots of Kant’s philosophical theory, due to its relevance and importance to the concepts discussed in the research, which represent the most important outlet in the research, and the arguments of chapter four.